Marvin E. Wickware Jr. joined the LSTC faculty in July 2018. Wickware describes his research and writing as a way for him to work out the problems he has encountered while teaching and living in community with others. 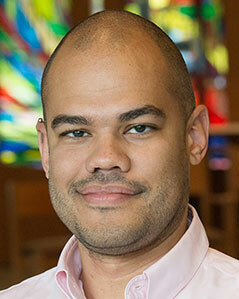 His experiences as a black man working in the predominantly white institutions of Duke Divinity School and a Presbyterian Church (USA) congregation led to his dissertation topic of racial reconciliation in U.S. churches. He demonstrates that black and white U.S. Christians are enemies and explores the possibilities of love in light of that reality. 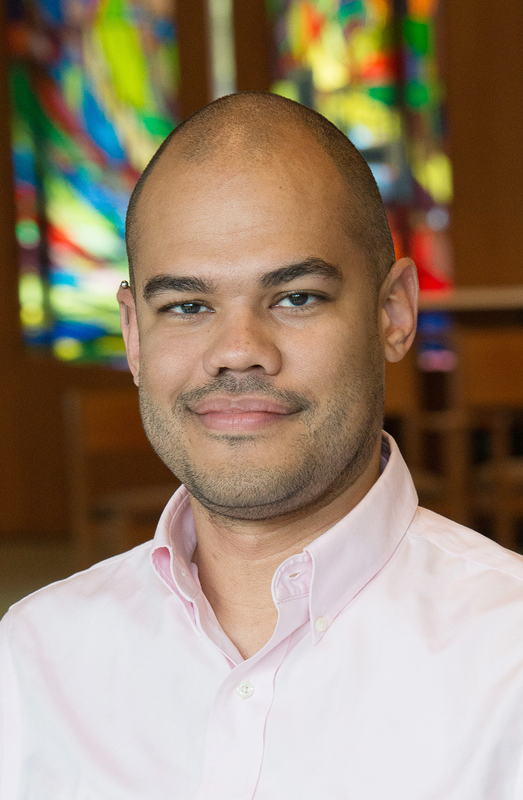 His research draws on feminist theory and black studies and in his teaching he works to connect an understanding of theoretical and theological perspectives to the church’s engagement with pressing political and social issues. Wickware is a Ruling Elder in the Presbyterian Church (USA) and his involvement in church leadership and community organizing in Durham, N.C., enriched his teaching and research. Review of “Hope Draped in Black: Race, Melancholy, and the Agony of Progress” by Joseph R. Winters in The Journal of Religion, Vol. 98 no. 3 (July 2018) p. 428-429. “For the Love of (Black) Christ: Embracing James Cone’s Affective Critique of White Fragility,” Toronto Journal of Theology, Vol. 33: 1, (2017) p. 99-106. “Faithful Disbelief: Christopher Morse between Foucault and Barth,” Union Seminary Quarterly Review, Vol. 65: 1 & 2 (2015) p. 59-65. “Breaking the Chains of Chattel Teamwork: The Future of Black Liberation Theology” (with Amy Barbour) Union Seminary Quarterly Review, Vol. 64: 2 & 3 (2012) p. 44-51.